Count on us to handle every aspect of your move. Leave the tedious moving preparations to us. Take a load off by hiring us to do the heavy lifting. Trust our team to haul away your unwanted items. Depend on us to deliver your new furniture ASAP. Wayne was so nice from the moment he answered my first call, until the moment the move was done. He made sure I had everything I needed for the move. My movers were Jake, Malcolm, and Ty. They were awesome. They took care of all of my items, but respected my time and were efficient for the whole move. They were also very friendly and professional. I spent more than I would have liked to, but I feel like it was worth every penny. 10/10 would use again. Jets moving helped us with our 4 bedroom house move into the country. We had complications that dad with my husband ending up in the hospital, as well and as another family member becoming critically ill leaving me stressed and alone for most of the work, but they helped out and every way possible were on time, flexible, courteous, and did an all over excellent job! would highly recommend for anybody looking for help with their next move! I called two days ago to get help moving out of my apartment for today Friday at 10 a.m. and to take my items to a storage unit. The setup was very easy and done over the phone, the move was super quick took about 2 hours and 15 minutes with 35 minutes drive time. My two movers were Jake and Ty they were excellent they wrapped up my beds and made sure nothing would get damaged and even helped my dad move some items into the storage unit after they were done loading the things from my apartment. I highly recommend Jets moving and if you need movers definitely go with Jake and Ty! They even didn't mind that my dog was literally everywhere I'm trying to help them move items too. Thanks so much! I want to tell everyone what a great company Jets Moving Company LLC is. I hired them to move my belongs to my new home, 3 bedrooms and a garage worth Dec 15,2018. We had 3 guys. The team was on time, reviewed with me what was being moved. Then they got started and that was when the time clock started. They were swift, careful and polite. They were also pleasant to be around. All my furniture was wrapped and handled with care. No charging for the short time they took for lunch. I would hire this company again! I tell everyone I know if you need anything moved call Jets! Excellent moving company at a reasonable price. I have used several companies in the area and this is the only time I've felt compelled to leave a review. The car they showed to my items and property was second to none. Highly recommended!!!!! Arrived on time, were super fast moving everything with care. Pricing was really good. Would recommend to anyone moving in the Tampa, Pinellas County area. Justin and Edgar did an awesome job. Thank you! Amazing experience. Prices were great and they did a good job explaining their "dos and don'ts". Dale and Edgar respected the furniture and boxes they were moving and took great care with each item. They had no issues disassembling and reassembling beds and such, other than those tricky ikea puzzles called furniture lol. Asked for help and I was glad to give it due to the respectful and friendly nature of the two young men. They worked well and didn't waste time trying to make extra money. Called ahead of time to let us know they were on their way and even had the manager call to ask a few questions when signing for payment after the two movers had finished. Highly recommend and glad these boys helped to relieve a lot of the stress that comes with moving. Thank you Jets! Will hire again for future moves. This was the best moving company I have ever used. The prices were affordable and the staff were amazing. I would recommend this company to friends and family. They were reliable. This company did a fantastic job with my move! They were careful with my belongings but also fast with the move. They even finished under the time they estimated. Very professional and great to work with. I highly recommend them. Dreading your upcoming move? Don't. JETS Moving Company, LLC is in the business of helping people. Our goal is to eliminate the stress of your move and get your items packed, transported, and unpacked safely and professionally. We are a professional moving company assisting in commercial and residential moves and you will always be working with highly trained and respectful crew members. We provide the same service and care to you and your belongings that we would provide to our family members. We are also licensed, bonded, and insured and provide no hidden fees. JETS Moving Company also has one of the lowest claims rates in the industry. We have completed over 1,000 moves and our customers continued to be pleased time after time. Whether you are moving across the street or across the state, call JETS Moving Company today to get a free estimate today. Who is JETS Moving Company? 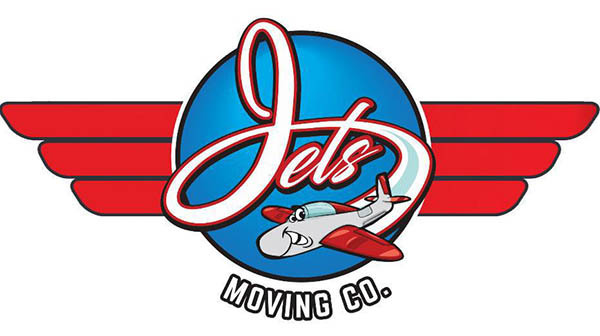 Reach out to JETS Moving Company, LLC in Tampa, Pinellas County, FL and save yourself time and energy during your move. We provide packing, loading and unloading and delivery services. We also do junk hauling. Our team will transport your items as far as you need them to go. We're a family-owned moving company based in Tampa, Pinellas County, FL. Our founder, Justin McCaskill, built this business on family values and good relationships. "JETS" came from Justin and his family members: Ella, Thaddeus and Shannon. We've all had bad moving experiences. Trust us-we won't let that happen to you. Each of our employees has passed a background and drug test, so you can rest easy knowing they'll respect your belongings throughout the move. In as little as two hours, we'll get you all moved into your new space. Call 813-649-8950 now to schedule commercial or residential moving services in Tampa, Pinellas County, FL. Copyright © 2019 JETS Moving Company, LLC, all rights reserved.